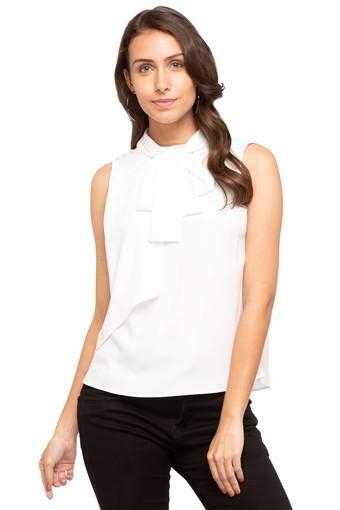 Anyone, who has a taste for classy tops will love this one presented by Van Heusen. It has been made of a fine quality fabric that ensures utmost comfort, while the solid pattern along with a sleeveless design adds to its look. 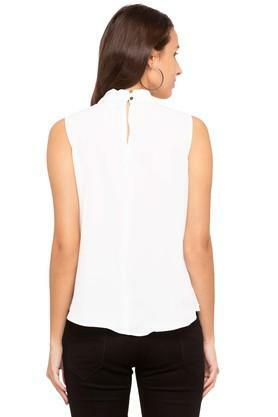 It also comes with a tie up neck that renders it trendy. 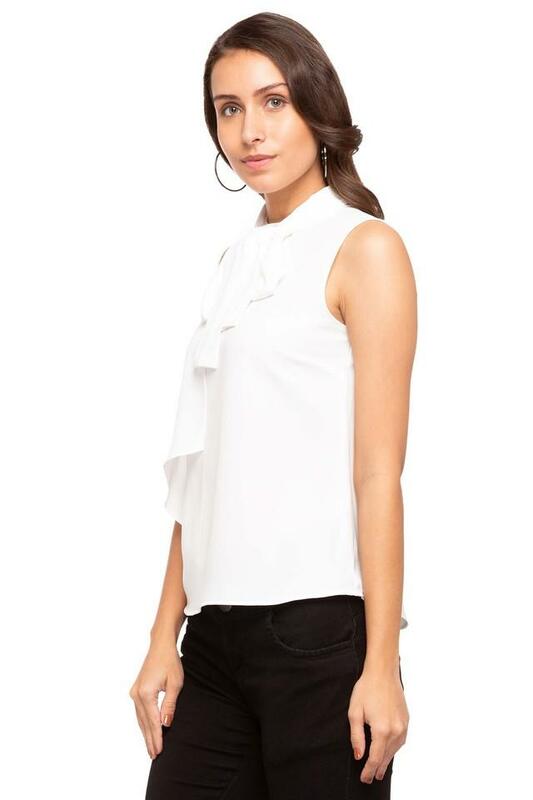 Flaunt a stylish look by wearing this casual top, which has been tailored to perfection. Featuring a solid pattern, it will go well with a pair of jeggings and flat sandals.